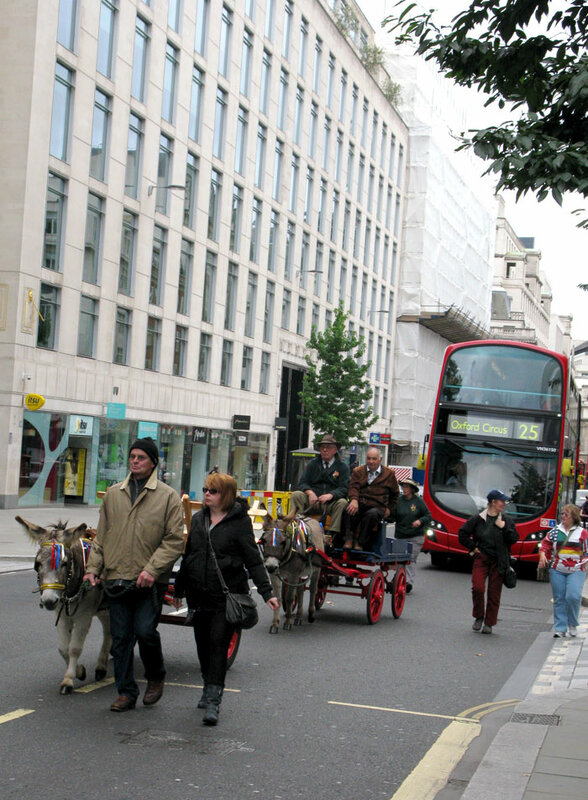 Back in the autumn, not long after I’d starting harping on about donkeys, my studio-mate Jasia came across a whole bunch of them right in central London. They were accompanying the Pearly Kings and Queens of East London on a procession through the City to the church of St Mary-le-Bow (legend has it that true Cockneys were those born within hearing distance of St Mary’s bells). It was the Pearly Costermonger’s Harvest Festival, which takes place every year on the last Sunday in September, continuing a tradition from the 1800s. 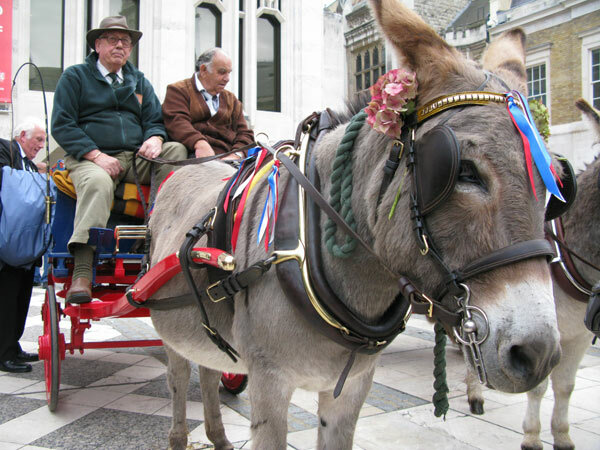 The donkeys pull coster barrows of harvest offerings, while a marching band, the St Paul’s Church choir, some morris dancers and the famous but rarely-rung Bow Bells all jolly up the city streets. 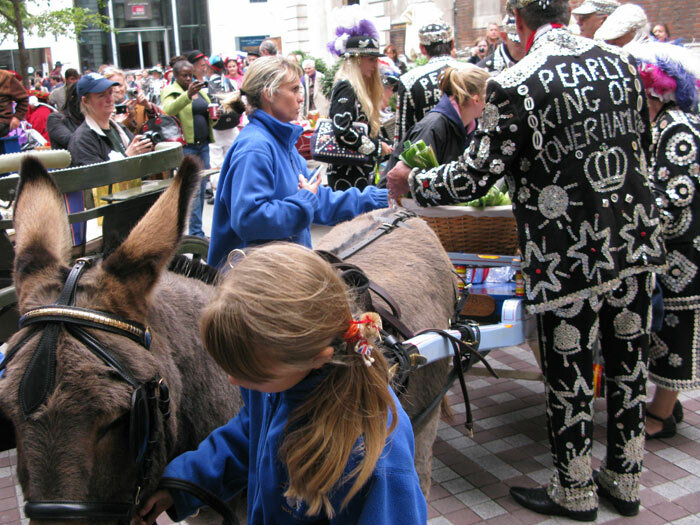 The Pearlies dress up in their fabulous pearl-button outfits, and other people come along in Victorian dress. Jasia overheard one donkey owner calming her donkey by telling it a story, and filmed it for me so I can brush up on some stories for stressful situations.